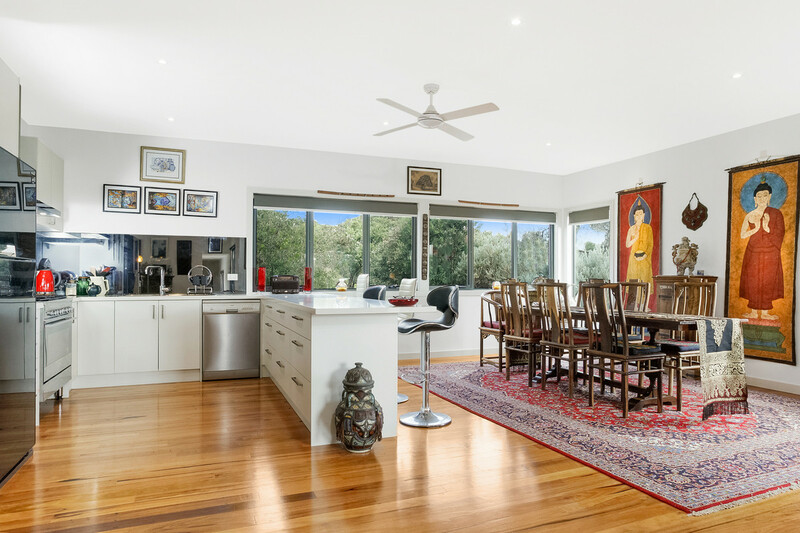 Privately situated on a gently rising, rustic allotment offering stunning views across the tree tops to the coastal dunes is this striking coastal residence. 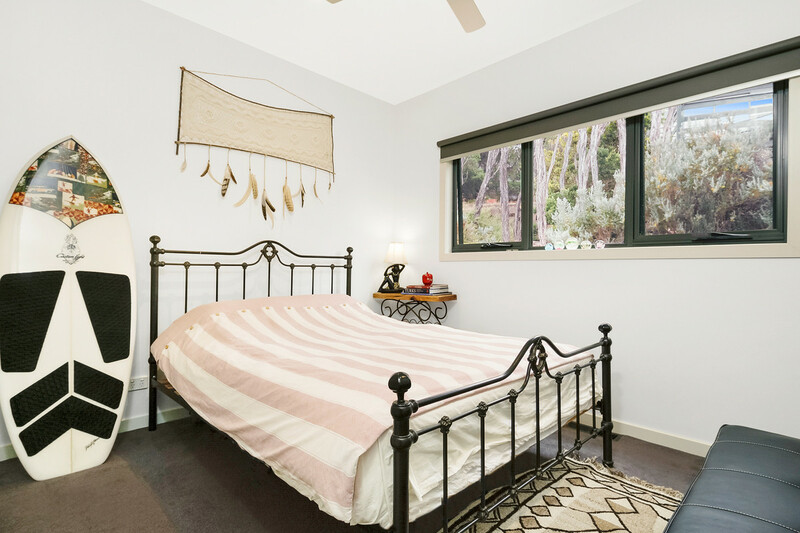 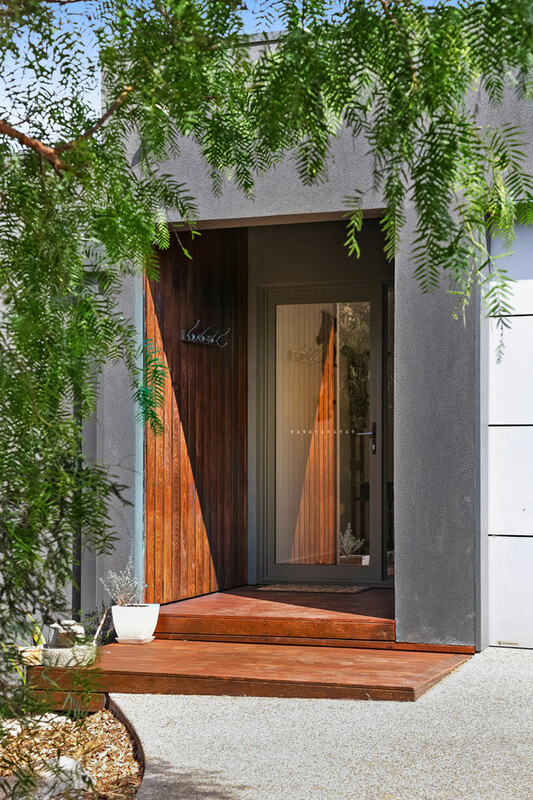 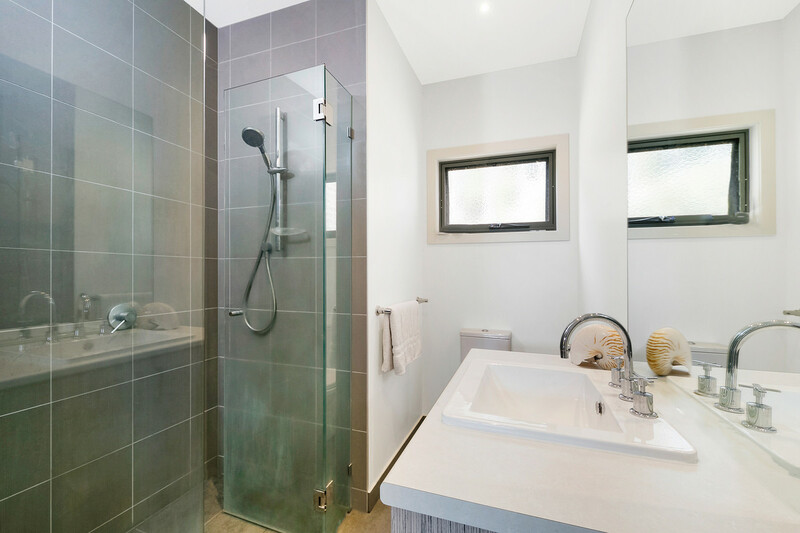 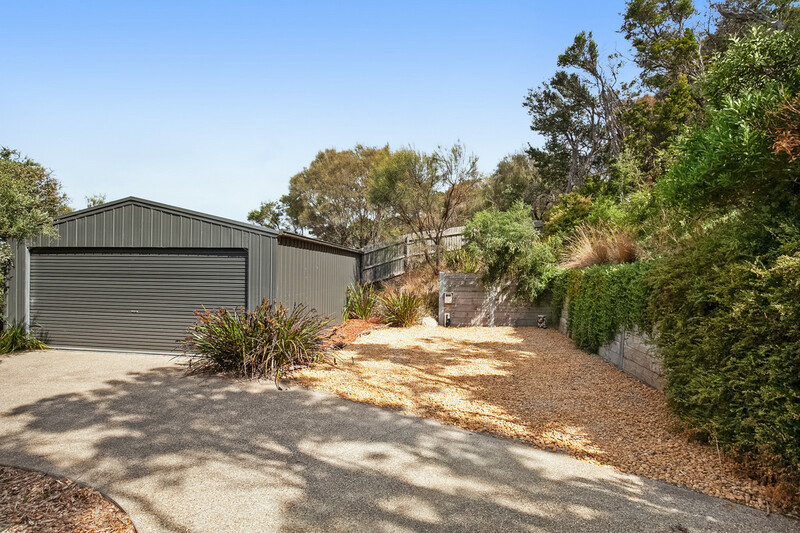 Ideally located just a 500m stroll to shopping strip you can stop and enjoy a coffee on your morning stroll to the ocean beach being just another 400m beyond the shops. 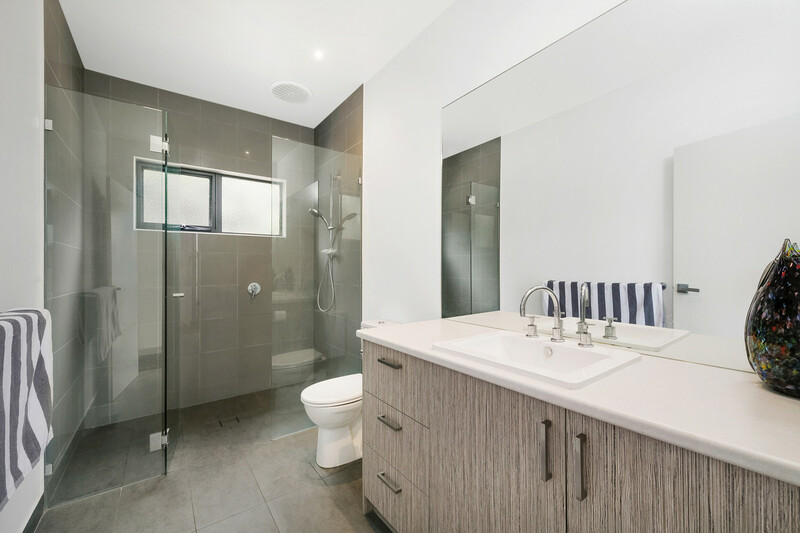 This well located split level property features: 3 bedrooms, 2 bathrooms including ensuite and WIR to master and additional 3rd toilet adjacent to a well appointed laundry on the upper level. 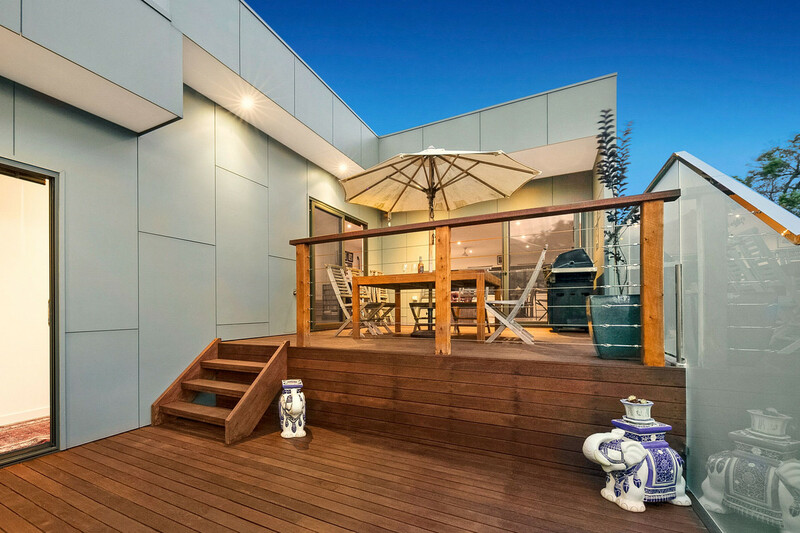 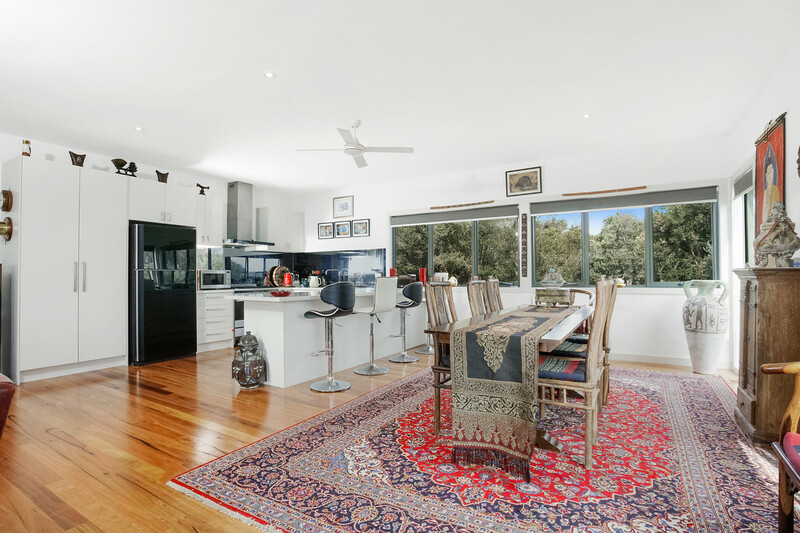 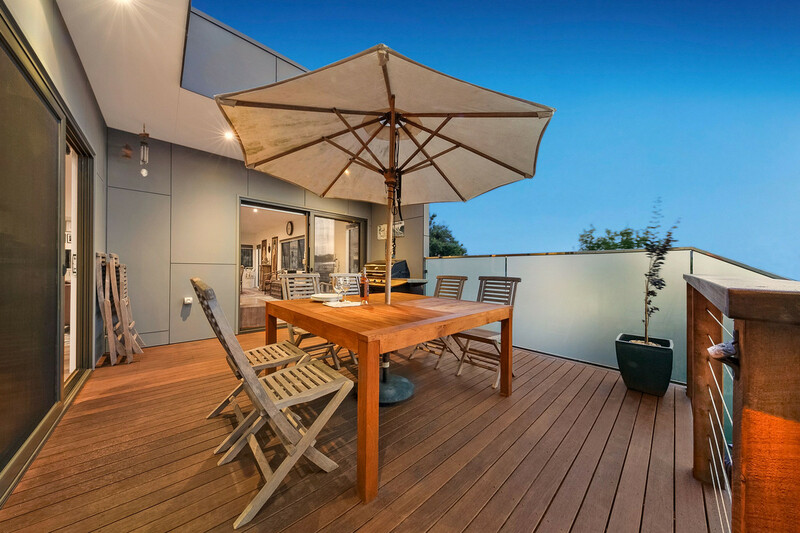 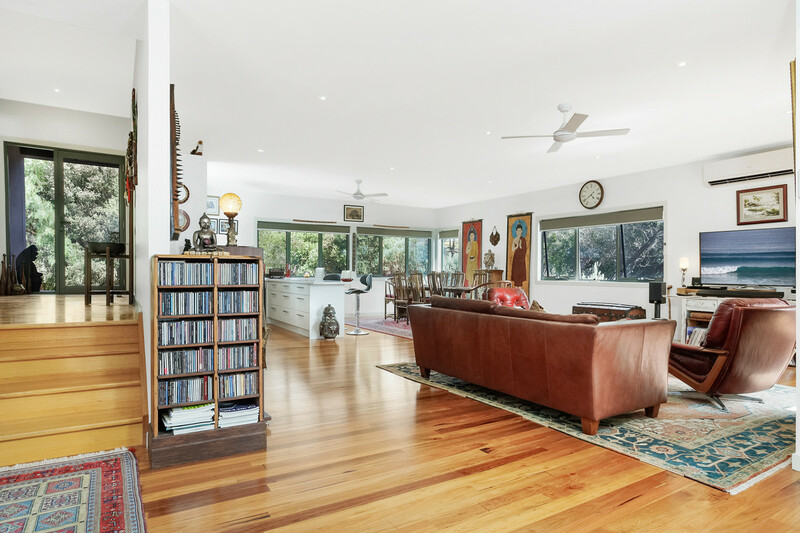 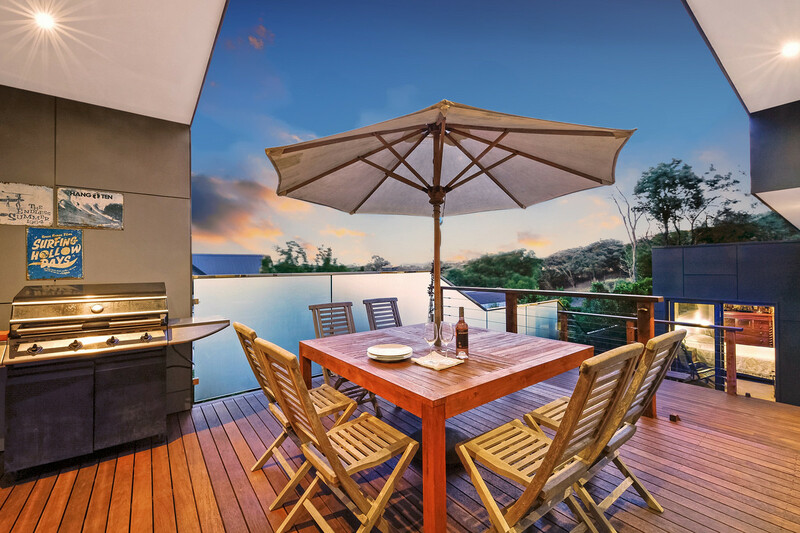 The spacious open plan living area host a beautiful kitchen & dining, polished timber floors, large lounge leading out to a very private, split level deck ideal for BBQ’s and enjoying the sunsets with a cold beverage in hand. 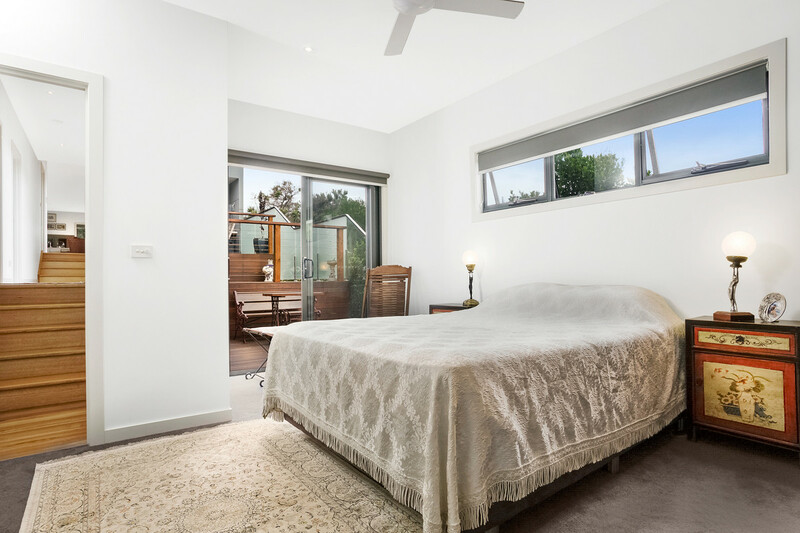 Comfortable living is assured with energy efficient double glazing throughout, R.C Air-con, ducted gas heating plus the added bonus of a gas log fire to add a little more ambiance to an already beautiful space. 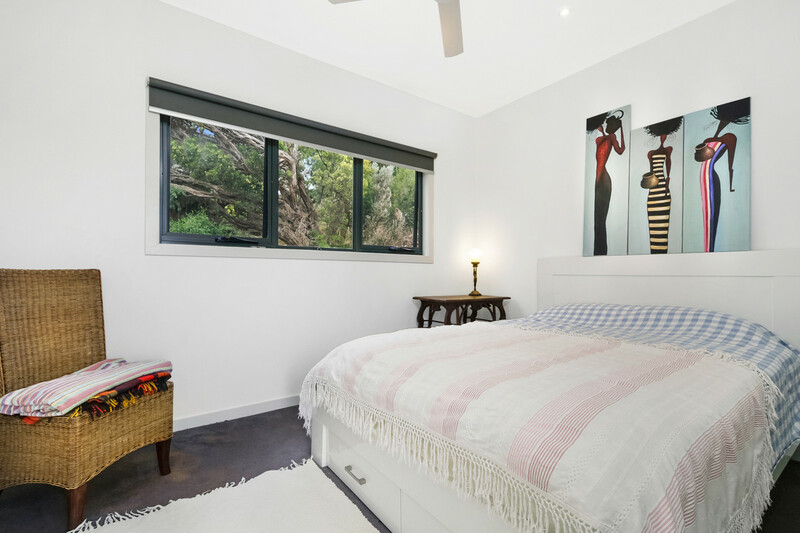 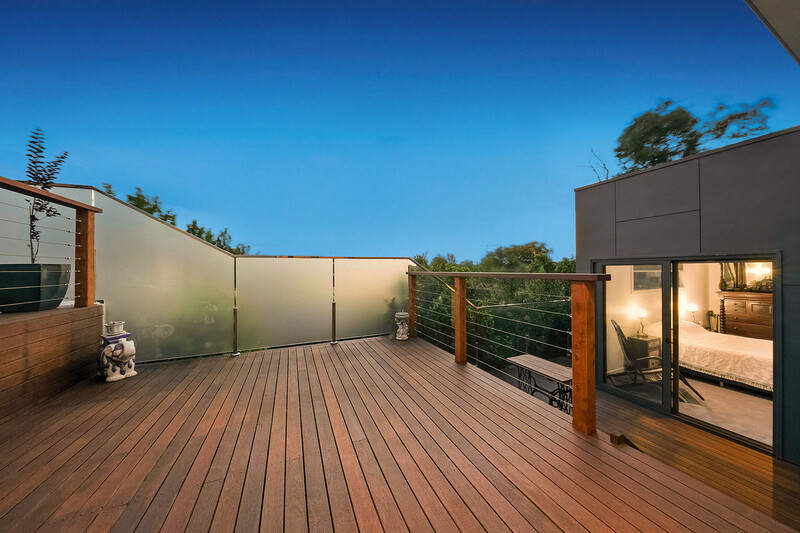 With extensive glazing the house can be opened up to let the afternoon sea breeze filter through, just turn on the overhead fans and relax. 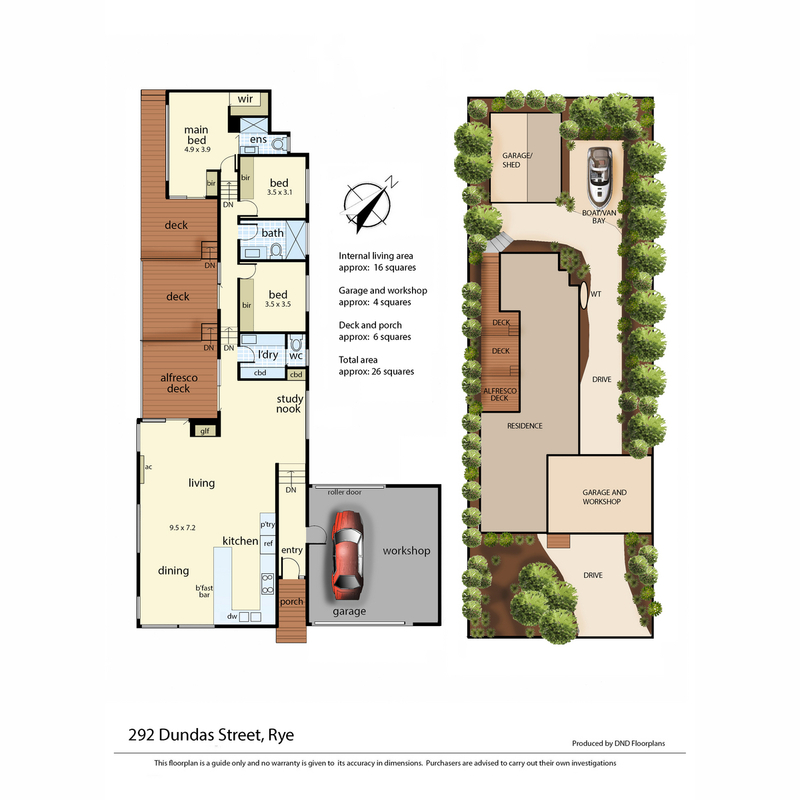 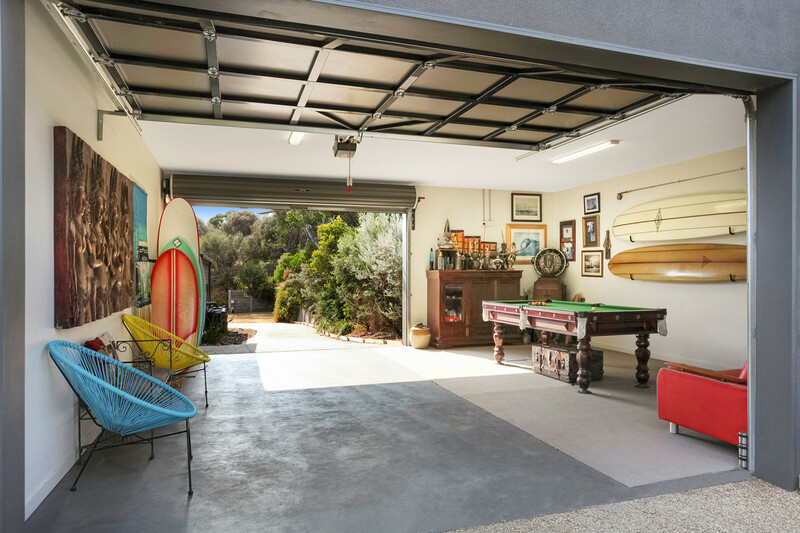 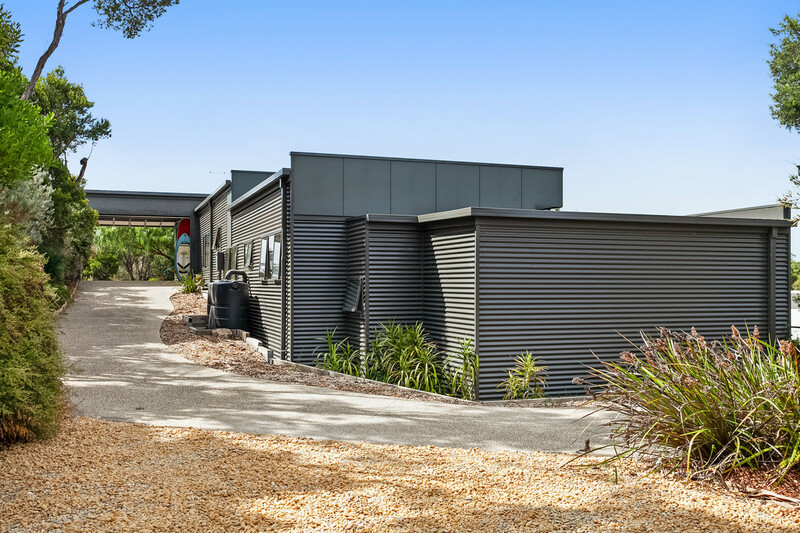 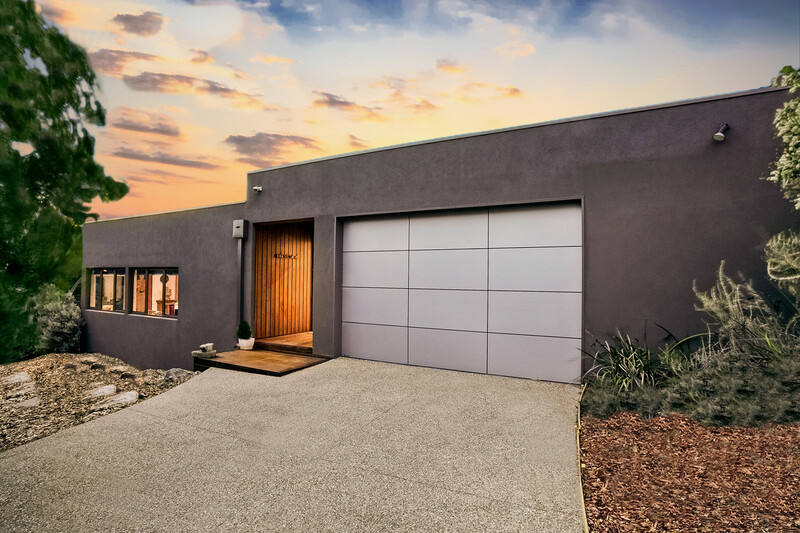 Ideal for the handyman to work from home or for further car storage, a roll-thru double lock-up garage leads via a sealed drive to another large 6m x 8m garage/workshop to the rear of the property.